Happy Thanksgiving! Today is the day of gratitude. The day that this month has built up toward. What I am learning from this exercise of listing my blessings every day is that this “attitude of gratitude” is essential, not just today, not just in November, but every day of our lives. Our outlook changes, our lives change when we see it through the lens of our blessings. I know, because listing these blessings has been changing me. And it has been amazing, not only in how I feel but also in how I look at things and in how I talk to my kids about things. 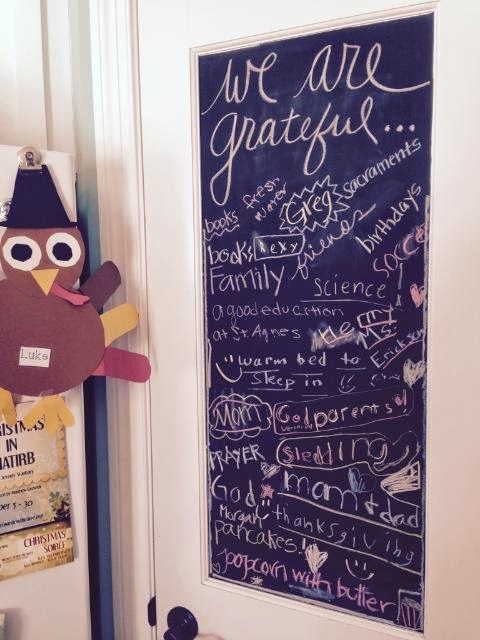 I am grateful for this challenge by Jenny of The Littlest Way! I really do feel like God has worked through her to teach me about gratitude. Praise Him! That was a wonderful project, and, I agree, something which should be done every day, or each moment we realize our gratitude. I enjoyed reading it! These are so great. I wanted to do them too, but with a newborn…. lol… I did enjoy reading yours though! #184 my patient husband is one of my number one blessings daily.